It is not what you communicate but how you communicate that makes all the difference. Communication is everything in life and business. In each interaction, it is not what you communicate but how you communicate that makes all the difference. Business interactions range from big egos and hot-headed temperaments to people who are too insecure to speak up. Neither creates productive conversations that result in movement toward greater success. Communication must be respectful to be received well by your counterparts. You must cultivate the emotional control, insight, charisma, and courage to voice your ideas and respectfully champion them. It takes confidence to share your ideas in the workplace, especially if your goal is to influence and impress colleagues outside your immediate team, including those who have seniority. 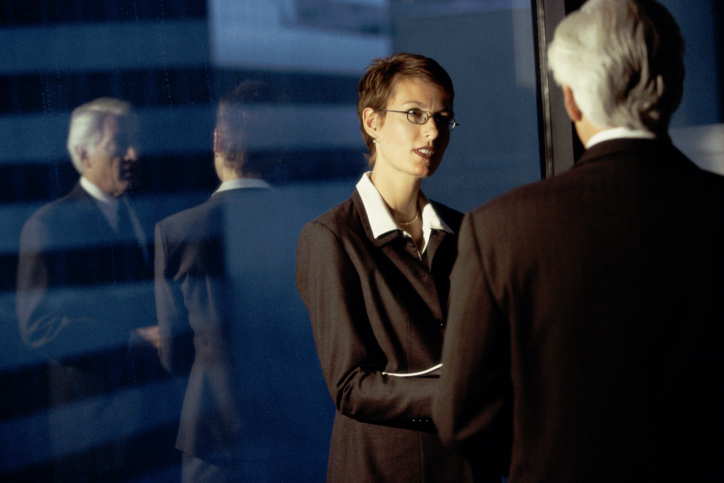 To be confident when communicating with your boss, a senior executive or a prospective customer you have to be clear on your views. The more clarity you have going into a conversation, the more your ideas will be received with thoughtful interest. When communicating, never worry about stepping out of line. All that can happen is your viewpoints will be considered and then turned down, so you haven’t gained or lost anything. In finding the courage to communicate, however, you develop more confidence in your opinions then if you had never expressed them. If you believe that your ideas can make a significant contribution, then voice them. It's worth the risk. Never lead with an apology or any type of excuse which shows insecurity. Start your communication with a strong, confident “I” statement backed up with evidence in support of the validity of your ideas or opinions. Evidence or research will help you not to falter because you have reliable information to reference if you're called upon to prove yourself. Each time your view is challenged it gives you an opportunity to reaffirm the validity of your ideas. View these challenges not as rejections, but as welcomed opportunities. People are people. If you approach senior executives with an “underling” disposition your ideas and opinions will not be taken seriously. Your attitude, approach, non-verbal energy and tone of voice reveal everything. Respect yourself first by showing confidence and then always be respectful when sharing your ideas. It takes extraordinary courage to be confident in yourself while sharing your ideas, especially if you work on a team where you aren't necessarily seen as the type to voice ideas or opinions. Sometimes that isn't always personal. It may be the culture of the team or company. As you look around at your peers, you may feel there's a normal way of dressing, speaking, looking, and acting and it can be compelling to maintain status quo. Keep in mind, however, great successes never obey status quo. Further, there's no need to resist corporate culture in your effort to become a more powerful communicator. You can stay in line with what works, still be bold in who you are, and state your opinions and ideas. In any type of communication your emotions can confuse and derail you. Go into each interaction knowing your emotions cannot be trusted. You may feel shy, insecure, and uncertain. Deal with this like a pebble in your shoe. It is uncomfortable but you have to ignore it. These emotions must be overcome for your ideas to be heard, respected, and then utilized. You cannot let these lower level insecurities or any defensiveness be a part of your equation. Go into each interaction with a smile. This makes it appear as if you have it together. Be well-groomed and possess a sense of humor. If you act confident enough, you will become confident enough. Dress the part, play the role, and say what you need to say as it if is absolute truth. This is how you will close every deal and climb the corporate ladder.